Artificial Intelligence is no longer science fiction. Every time you enter a search in Google there’s a high probability that your query will be processed by Google’s AI system known as RankBrain. How is Google using AI ? "All of the other hundreds of signals that are used are designed by Google's own engineers, whereas RankBrain is a learning system, it really is an Artificial Intelligence; it interprets language, it interprets your queries in a way that has some of the gut feeling and guessability of people". 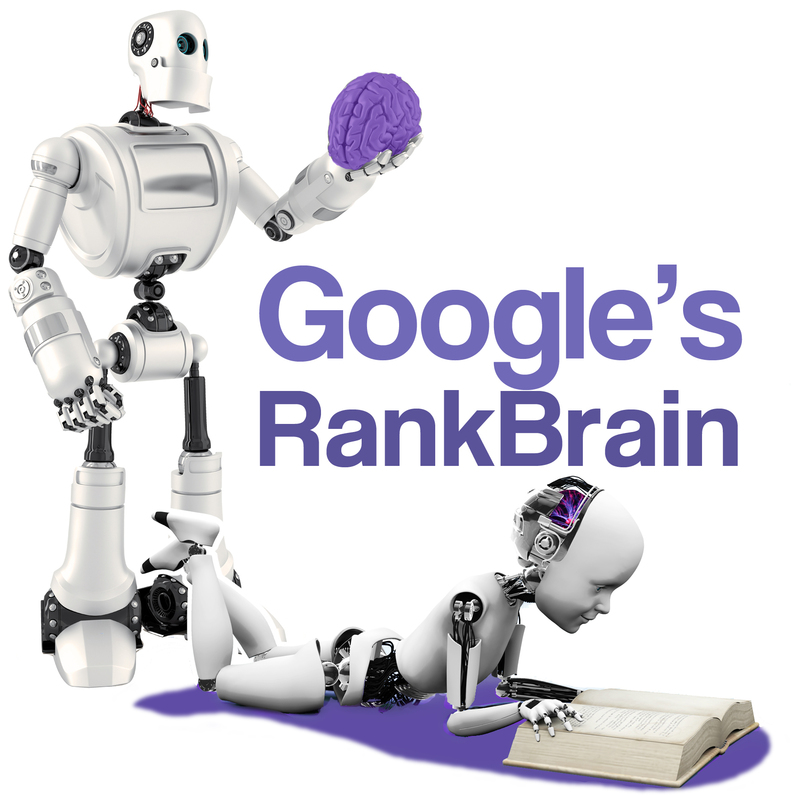 When RankBrain was introduced in October 2015 it was created to deal with the 15% of unique queries that Google has never seen before, however in March 2016 Andrey Lipattsev, a Search Quality Senior Strategist at Google has confirmed that it is now Google's third most important ranking factor, with content and links being joint first. We also know that RankBrain is an evolution from Google Hummingbird, affects SEO internationally and has been released worldwide. You can listen to the full interview here - Google turns its web search over to AI machines. RankBrain uses vectors, which to quote the above article are "Vast amounts of written language embedded into mathematical entities" and attempts to understand not just keywords on a page, but the intent behind the keywords entered. That’s about all Google are saying and there are probably only a handful of people in Google who know much more than that, therefore the rest of this article is setting off down the road less travelled into wild speculation. The Click Through Rate (CTR) to each result. If a website appears at the top of Page 1 for a keyword but no-one ever clicks that link in the search results, it’s a sign that the page isn’t popular. If you click to visit a page, click ‘Back’ quickly, then click to see a different page, it’s a sign that you didn’t like the first page. Google can use Google Chrome to access huge amounts of data regarding the time spent on a web page, click through rates, etc. Millions of websites have Google Analytics installed and this also provides data that can be used to guess if a viewer is happy. Manual tests with real users in Google’s headquarters. The next question is: What does RankBrain do with all this data? Increase the likelihood that visitors spend longer on the first result they click and visit other pages on the website after the first page. Increase the overall user satisfaction that people experience when using their search engine. RankBrain will not just look at the web as a whole, but also try and define different algorithms for different types of query, different topics, different languages, etc. Who knows, it may even have different algorithms for different times of day. For a more technical perspective on how RankBrain might work, we recommend Moz’s article called RankBrain unleashed. What are the other 200 SEO factors? Glad you asked! Our interactive infographic reviews ‘200 things you need to know about SEO’. We can't be completely certain of the 200 factors, however this is based on thorough research of leading SEO experts and studies and will cover most of them! How can you use RankBrain to generate more traffic? RankBrain makes it important not to try gaming the system. Google has got better and better at spotting link farms and artificial, manipulative links recently and using them, adding hidden text to a web page or other manipulative SEO practices simply won’t work. If a new black hat SEO tactic gets invented, odds are that if humans don’t spot it, RankBrain will modify the algorithm without anyone even necessarily needing to do anything. Google’s new AI algorithm also means that you should focus more and more on what’s important to your visitors. Create a beautiful, responsive website that visitors want to stay on. Write content that is well researched and engaging, provide useful features or illustrations and go that step beyond the norm to offer a value added service and useful information. Be innovative, be creative. Some SEO blogs are saying that RankBrain means that in 2017 keyword research is no longer important. Nothing could be further from the truth. RankBrain has to work with something and many of the 200+ major signals that Google looks at will include keywords – Keywords in Metatags, Titles, Anchor Text, URLs, domain names, incoming links, outgoing links, etc. etc. We live in a semantic world and RankBrain has to work within that framework too, so identifying keywords that are relevant, have high monthly search volumes and relatively low SEO competition is still an essential part to SEO. Given that each of these factors will be weighed separately, then combined in a formula, it’s better to include the keyword in many different places (titles, URLs, anchors, body text, etc.) but only a natural number of times. This isn’t keyword stuffing, it’s sending a consistent message telling both readers and Google what a page is about. Keyword stuffing is using the same keyword or similar variants excessively in one place (e.g. repeating a list of keywords over and over in a description). In conclusion - If your visitors love your website, so will Google, but don't forget the SEO basics!